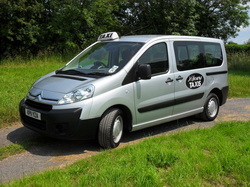 Aldbourne Taxis have 2 licensed taxis that will carry up to 8 and 6 passengers respectively. These are a Citroen Dispatch Combi (8 seater) and Vauxhall Zafiri (6 seater). 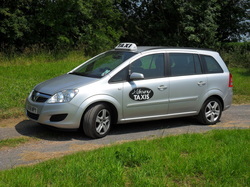 The company also operate a third vehicle, a Vauxhall Zafiri, which is licenced as a Private Hire Vehicle. This people carrier seats up to 8 adult passengers. Comfortable, spacious seating with plenty of leg room. This estate car can carry 4 passengers with luggage or 6 passengers with very limited baggage space.